PNC Bank wanted to update their Home Buying, Loans and Refinancing website. We simplified their pages by making the copy more conversational and updated their UX to allow intuitive usability. 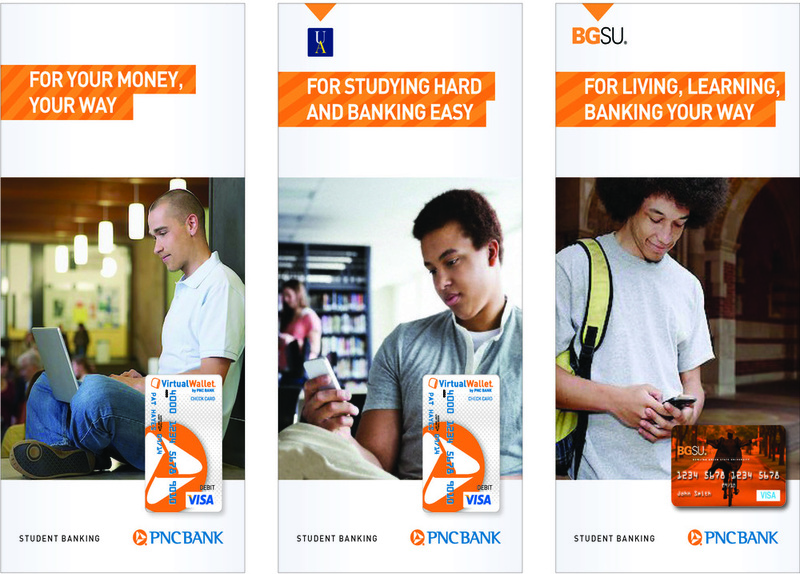 PNC Bank wanted to promote their Student Banking services, so we created custom brochures for their university partnerships. To promote PNC Bank's Virtual Wallet app, we created a radio campaign.